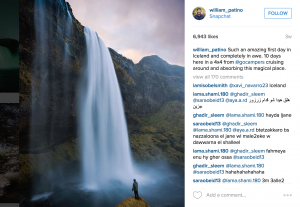 The Australian photographer and travel blogger William Patino recently visited Iceland. Some of his photos are among the best images I’ve seen portraying my homeland. William claims after ten days in Iceland, his life will never be the same again. You can read about it and take a look at his amazing photographs on Bored Panda. I hope he’ll be able to visit Iceland often in the future.